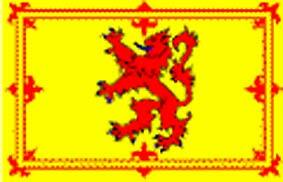 Lion Rampant flag, with brass tie rings at one side. 100% Polyester. 5 feet x 3 feet.